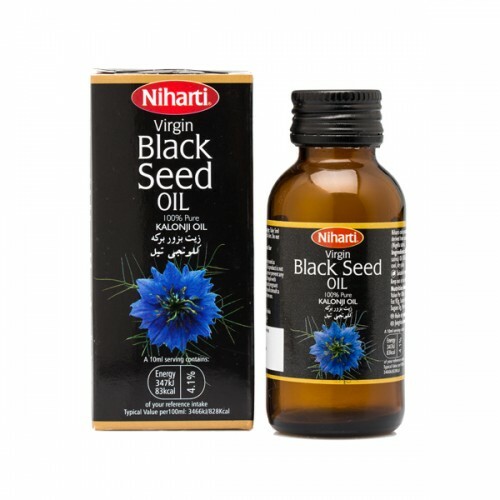 Niharti Black Seed (Kaloonji Oil) - is derived from specially black seeds (Nigella Sativa). It is 100% natural oil, free from any added colours and flavours. Black Seed oil is well known for its natural benefits and has been used for thousands of years across the globe. It is also thought to be blessed seed and is refereed in Ayurveda and ancient text.